In the cleaning industry, bathrooms and washrooms are awash with harsh and corrosive cleaning products. Our bathroom cleaning products are safe, effective, and environmentally-responsible. Why choose our microbial bathroom and washroom cleaning products? Genesis Biosciences recognises that their customers need to meet the demands of their clients in different ways and that a "one fits all" product is not the solution. That's why our Evogen Microbial range consists of 4 separate and highly-effective bathroom cleaning products that work to eradicate the odours and bacteria build-up found in bathrooms. Our Evogen General Purpose Biocleaner is a liquid concentrate combining innovative eco-benign® chemistry and application-specific bacteria for hard surfaces. A liquid bacterial concentrate which combines unique eco-benign® chemistry and application-specific bacteria to control odours and keep bathrooms fresh. An eco-benign®, non-acidic and non-corrosive, but highly effective product for the removal of limescale and other scales in a variety of bathroom cleaning applications. Evogen Urinal Cubes reduce inorganic and organic scale build-up in urinals, traps and associated pipe work, and also prevents the formation of odours at source. See our full range of microbial bathroom and washroom cleaning products. Our Evogen Microbial Products are performance-driven and environmentally-responsible cleaning tools. 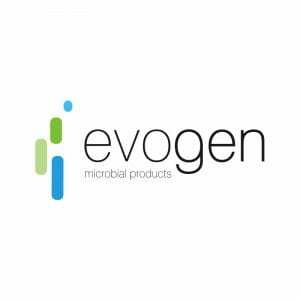 The application-specific bacteria in Evogen products targets the odours and organisms in bathrooms individually, breaking them down through the secretion of enzymes and continuing to digest the source until it is gone. Why use the best possible products for bathroom cleaning? Bathrooms are ideal breeding grounds for unpleasant odours, scale build-up and unsightly stains. Traditional bathroom cleaners made by other suppliers can be both harsh and corrosive to floors, fixtures and fittings, and many do not offer any ongoing control of scale and organic matter build-up. The proprietary eco-benign® chemistry present in our Evogen range of bathroom cleaning products ensures immediate, safe and effective cleaning that lasts over time. Our Evogen products keep bathrooms and washrooms clean and smelling pleasant.